Here are a selection of the releases made in the second half of 2018. 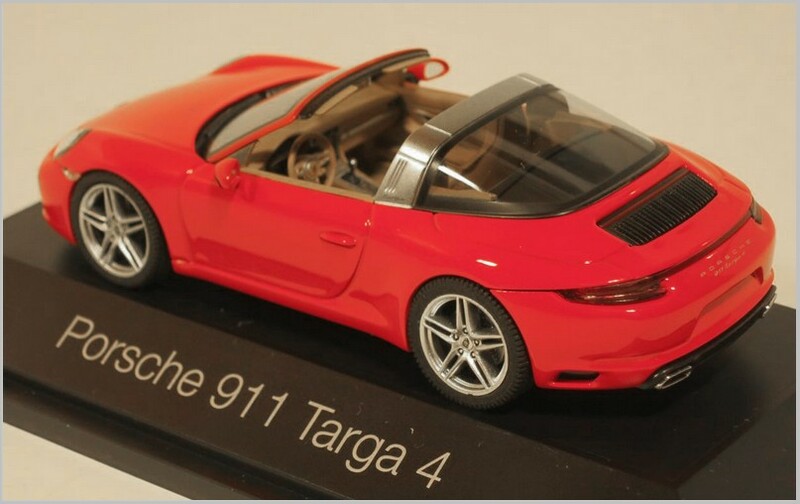 All are moulded in plastic in Europe and are to 1:87 scale unless otherwise stated. Established in 1916, Mitropa´s role was to supply travelers in trains, at train stations and at motorway services. 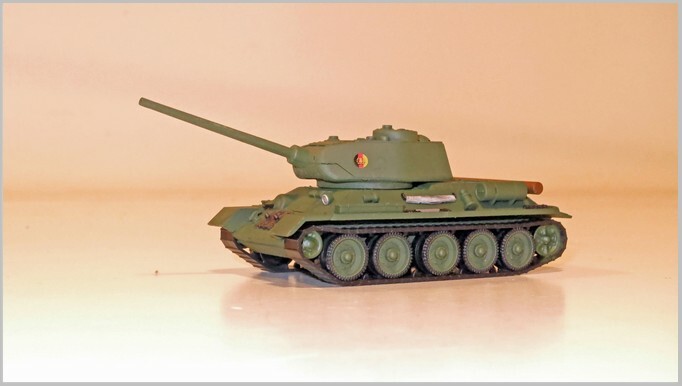 After 1945, Mitropa was separated into two organisations one in each ‘Germany’. 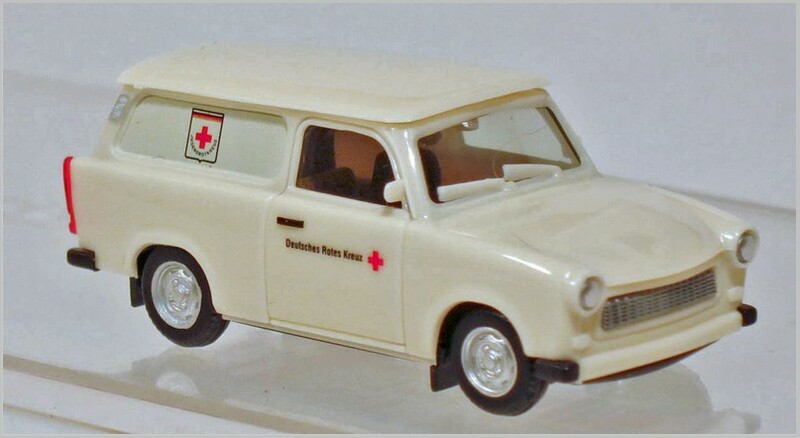 Here is a vehicle from the former DDR where the company served all kinds of travellers. 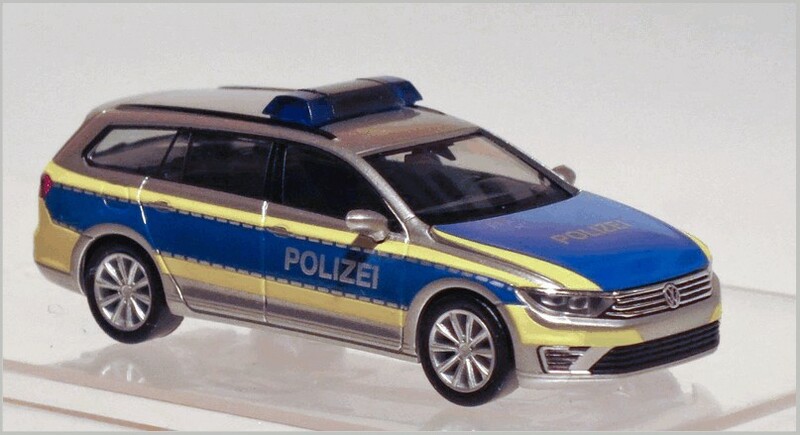 The new Passat GTE is used by the Police in Wolfsburg, a city dominated by the Volkswagen company. 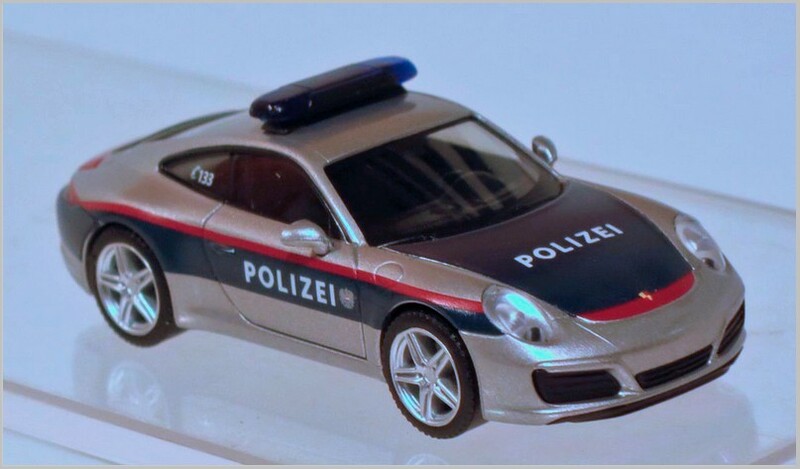 The finish of this model reflects the type of reflective plastic body stickers now used by Police forces in Germany. 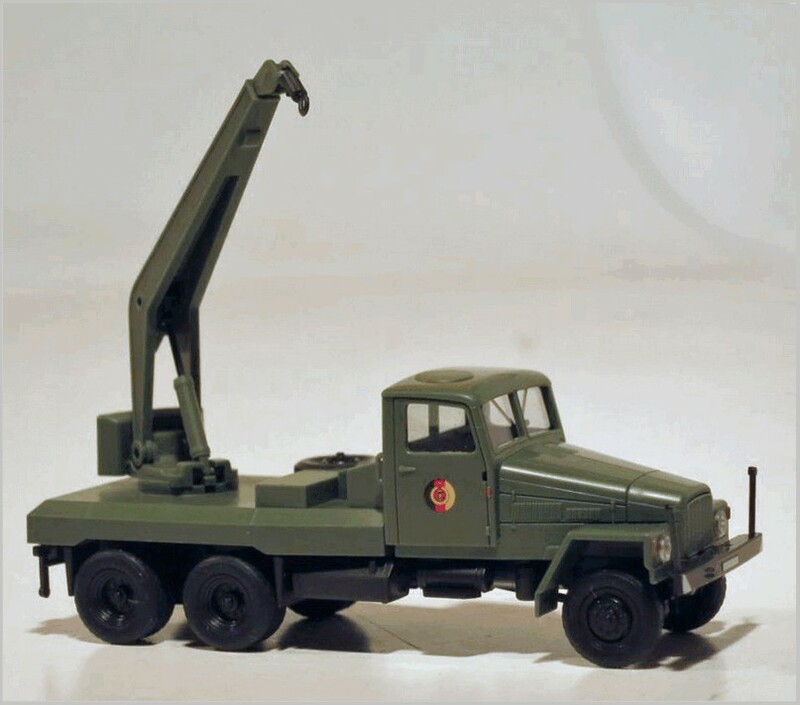 These models are diecast in metal for Herpa in China and are to 1:43 scale. 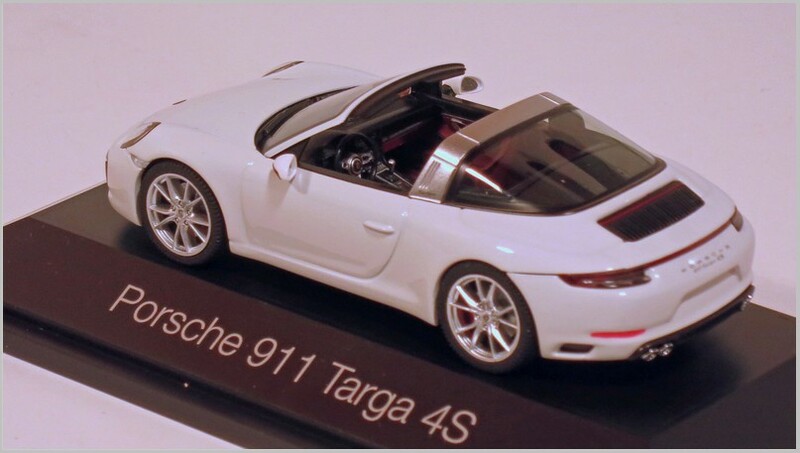 They were sold initially in Porsche packaging as ‘exclusive models’ but are now available as standard Herpa issues. 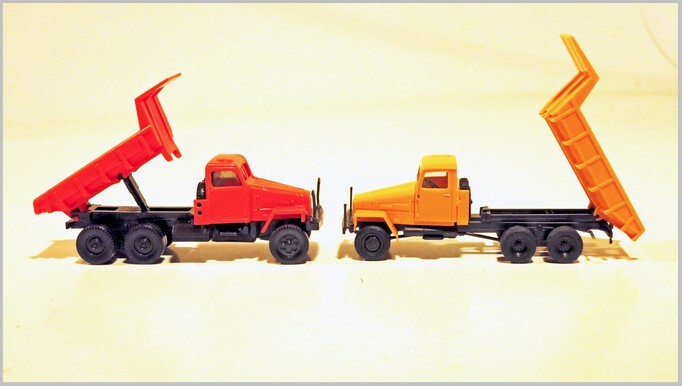 All three models are authentically shaped and lovingly finished. 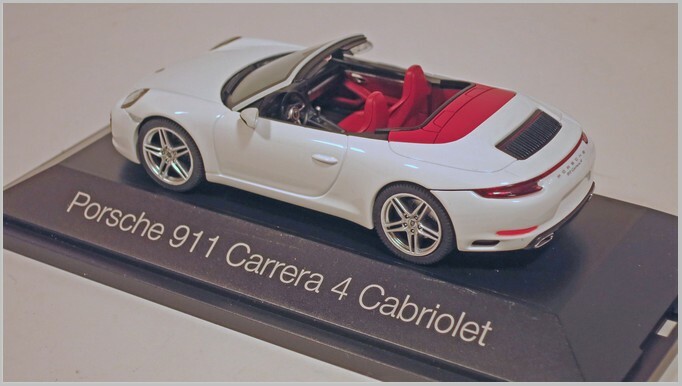 Visually, the differences are hardly noticeable between the Carrera and the Carrera S. But the individual derivatives of the cars can not only be distinguished by a single letter in the type designation but also by a number of small details which can be recognised when examined. 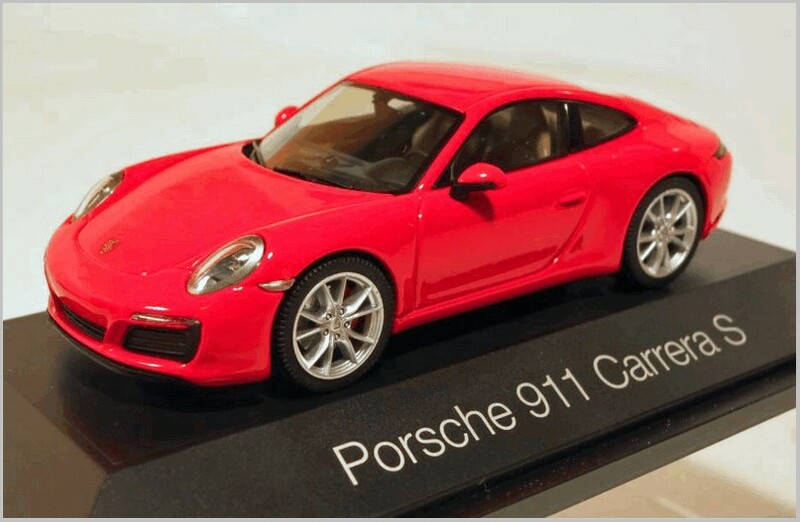 A Porsche fan is able to tell exactly which engine is fitted by looking at the rim design or the shape of the exhaust system. 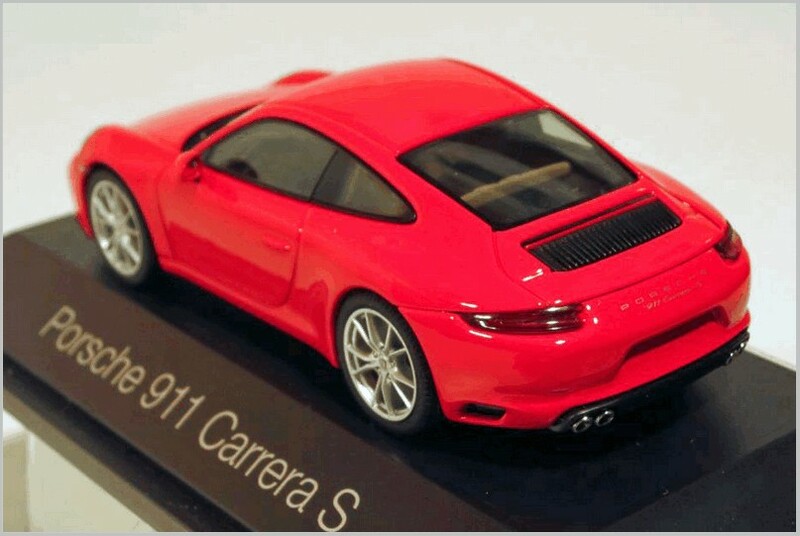 Whilst the Carrera Coupe comes standard with 370 hp, the “S” variant with 420 hp. Herpa model the detailed exhaust systems fitted to the two cars. 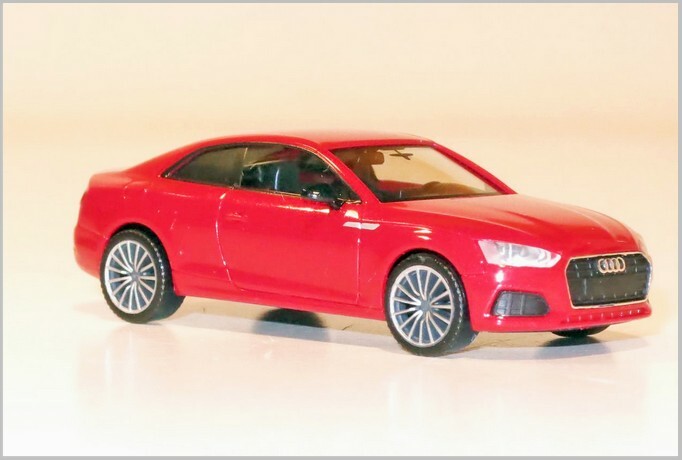 Shortly after the launch of the new Audi A6 Herpa launched the new car in saloon form in miniature. 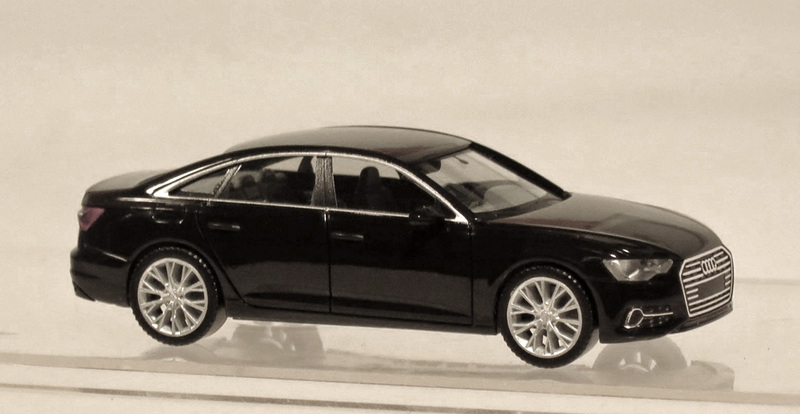 The all-new body is well captured and the beautifully replicated new rims make the model to a real piece of art. 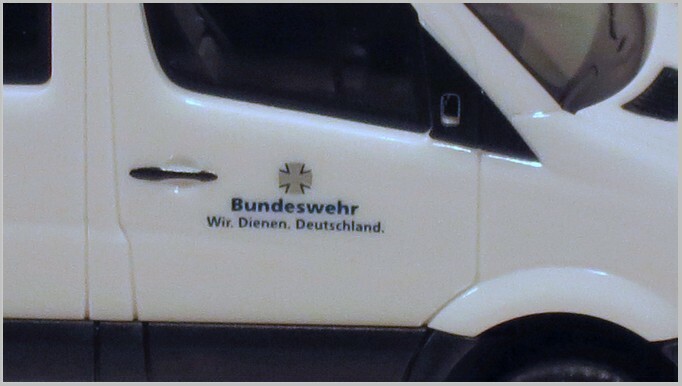 The haulier Scheufler, from Wohratal in Hessia, is known for their attractively liveried vehicles. 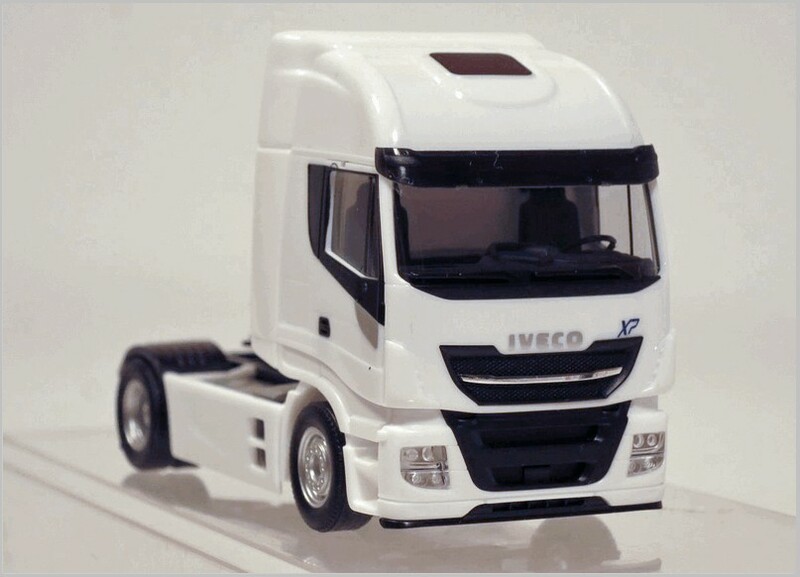 This DAF XF tractor too, was designed by Walter Rosner. 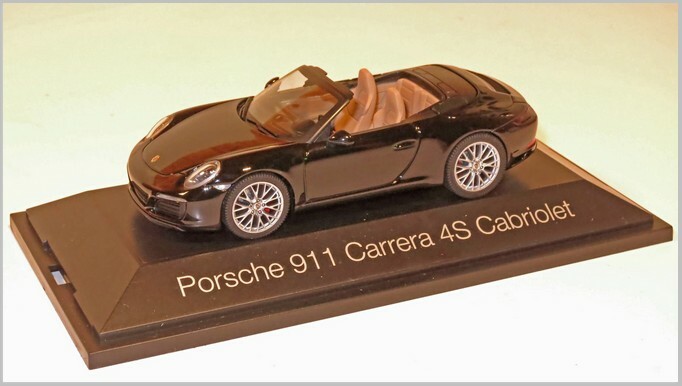 The elaborately printed model was produced as one-time-edition. 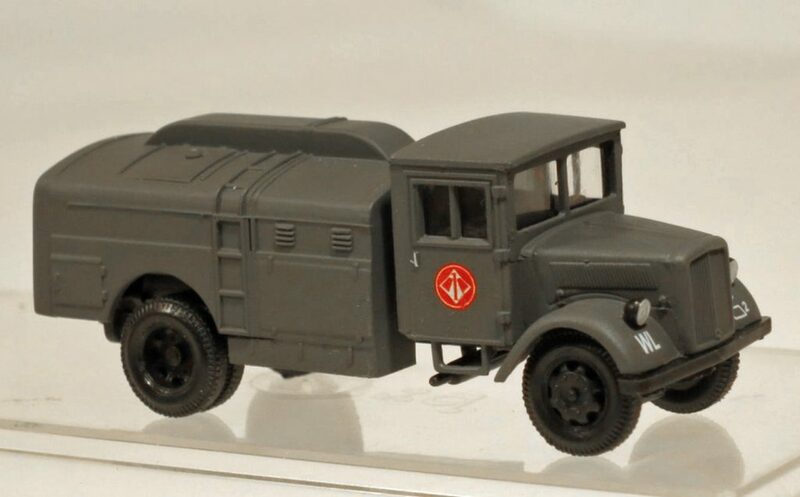 From 1944 to 1945, during the war and for a short time after, Daimler produced the Opel Blitz 3 ton truck under licence. Due to the shortages of steel at the end of war the driver’s cab was made from chipboard. 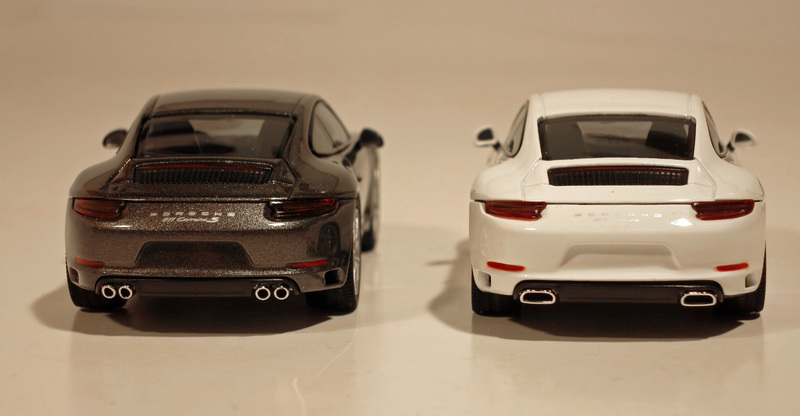 In Germany vehicles over 30 years old are issued with a registration plate with a ‘H’ on it. This indicates that it is an ‘historic vehicle’ and is taxed accordingly. 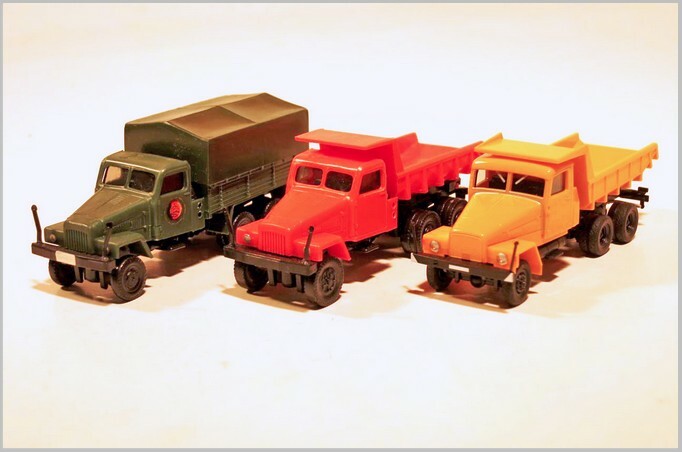 Here Herpa make use of some older moulds to create some historic cars bearing ‘H’ plates. The saloon was designed by the Frenchman Patrick Le Quement. 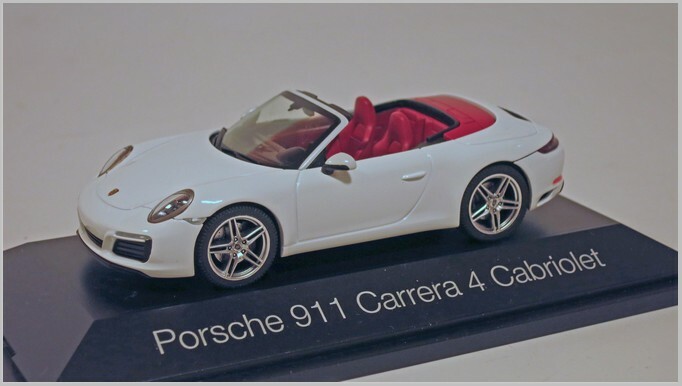 The striking feature when launched was the missing radiator grille. 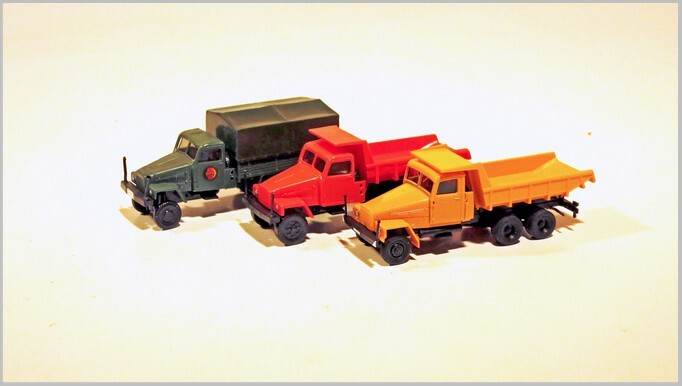 Today few cars survive as many have rusted away. 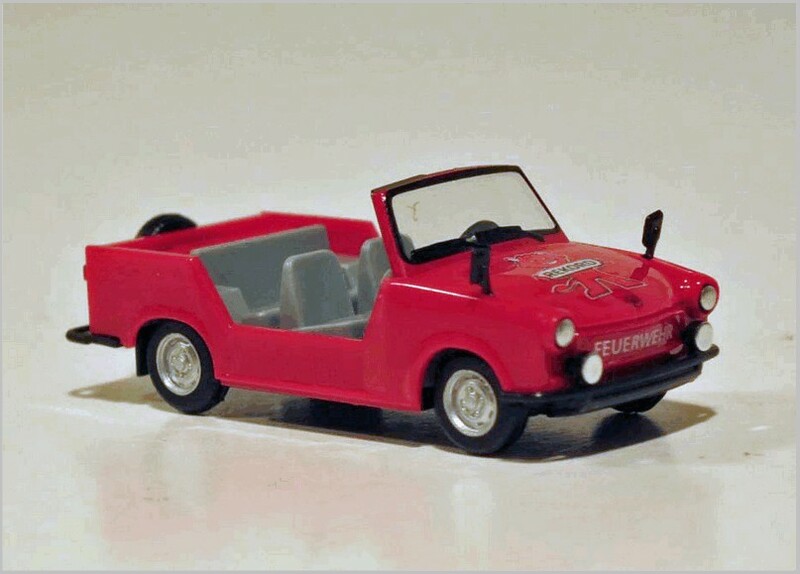 The miniature is painted in ‘Mars red’ with a black interior. 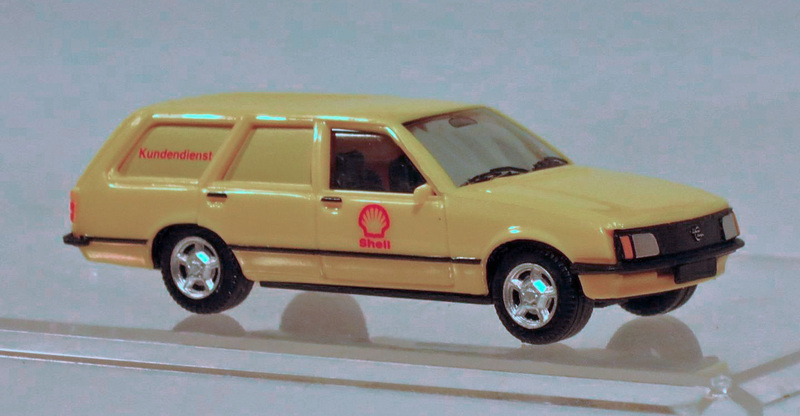 The car was designed by the same designer who created the legendary Opel GT, the Manta A and the Calibra: Erhard Schnell, who is now 91 years of age. 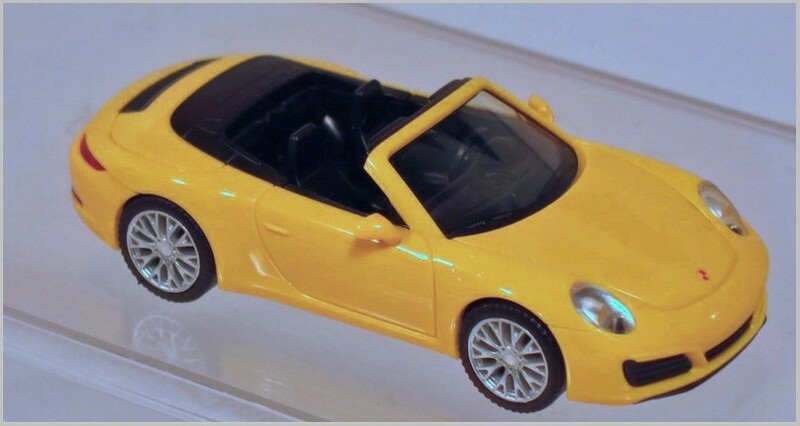 The model is in “snow white” with red interior. 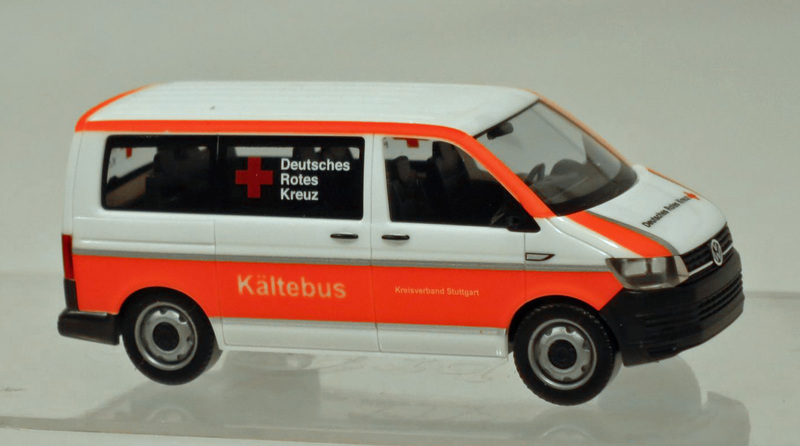 The German Red Cross in Stuttgart operates the current VW T6 bus as a “Winter Bus” to care for homeless people. 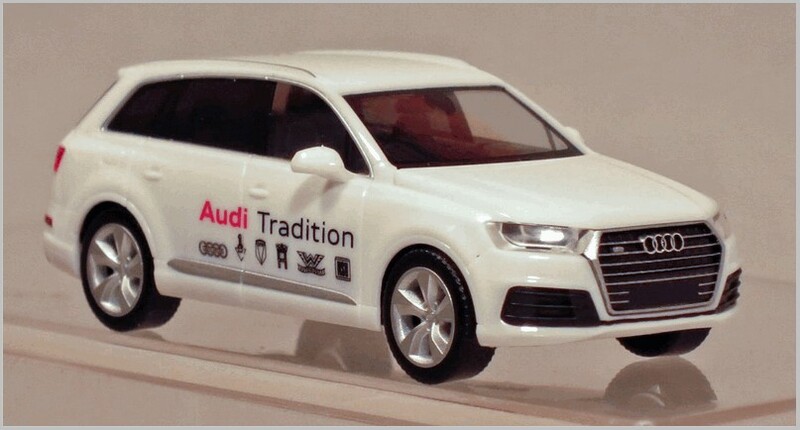 The white vehicle is released in an authentic livery of luminous red and silver. The new Mercedes-Benz G-Class has been chosen as the CarsClub model for 2018. 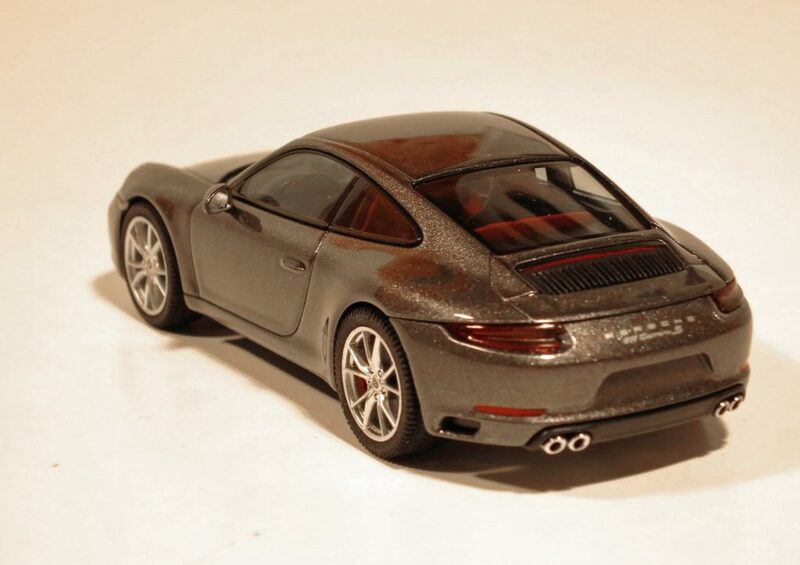 It is moulded in glossy black and fitted with a chrome-plated radiator grille and spare wheel cover. 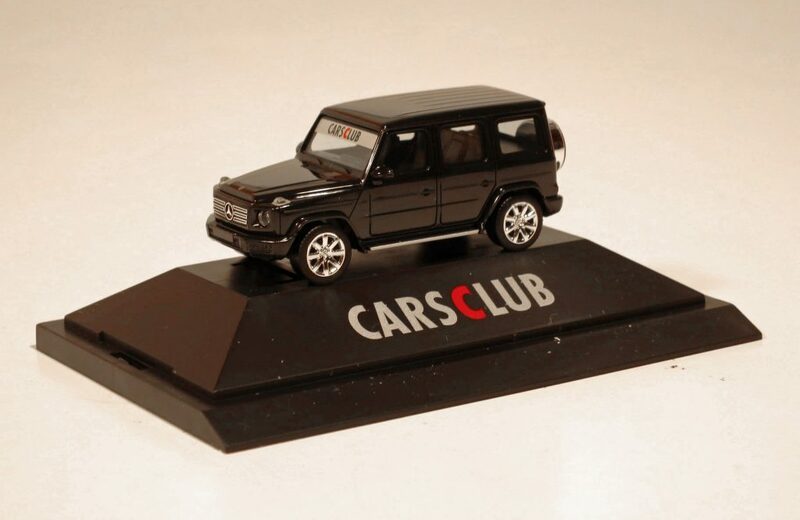 It will be sent out only to members of the Herpa Cars Club. More info about the club can be founds at www.herpa.de. All text by, and copyright of the Author. Photographs supplied by the Manufacturer or taken by the Author and copyright applies.. Here is a selection of the releases during July and August from Herpa. 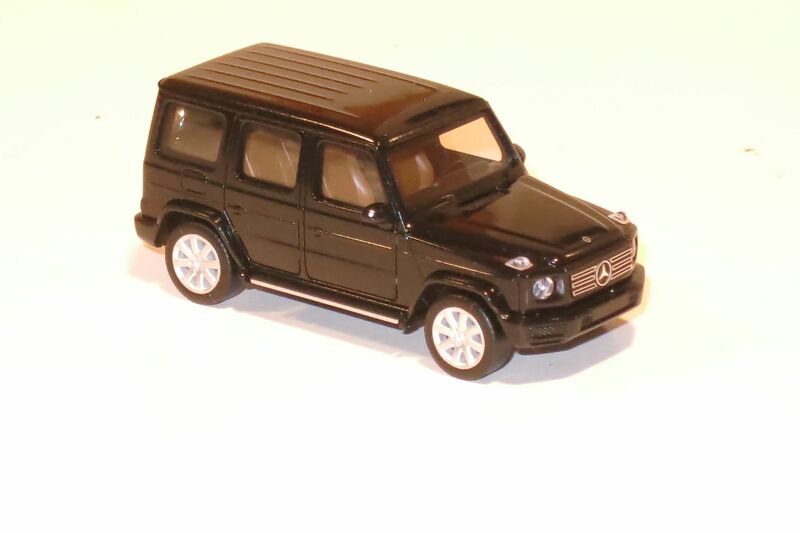 In February 2018 Mercedes-Benz presented their new G class model. 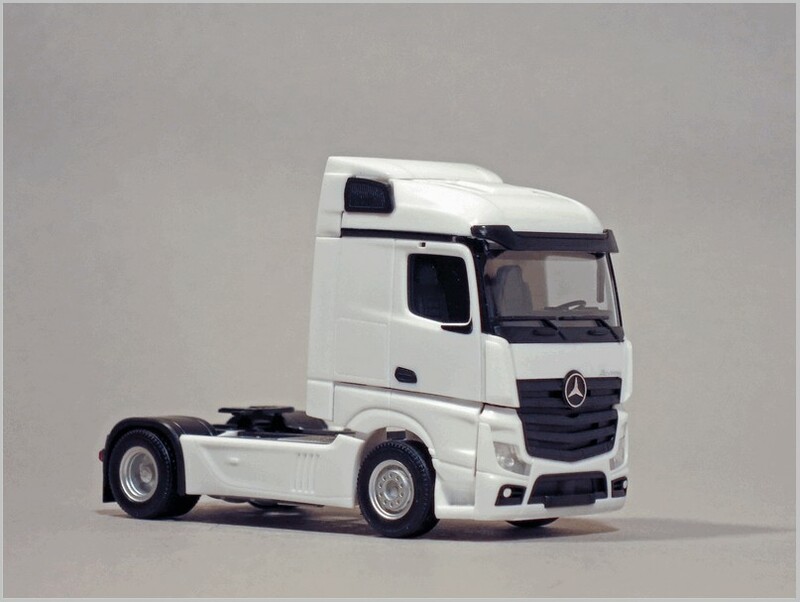 With a long wheelbase and interesting details like a chromed wheel cover at the rear as well as embossed radiator bars, Herpa have made a miniature in 1:87 scale. 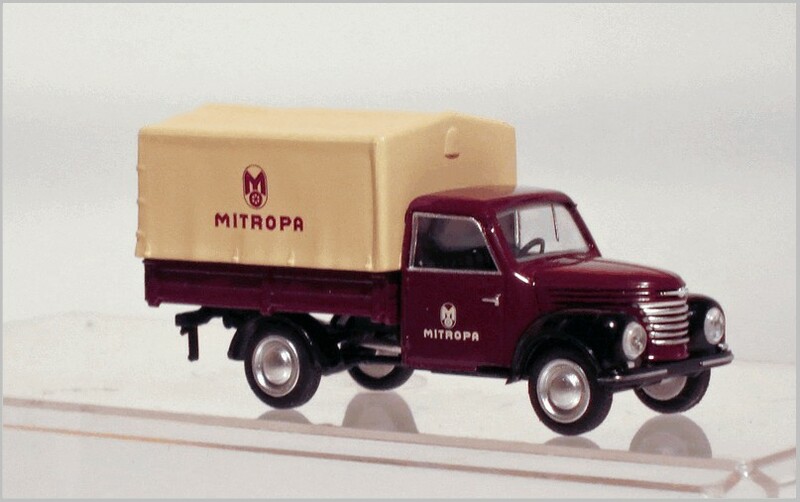 Established in 1916, Mitropa´s role was to supply travellers in trains, at train stations, and motorway services. 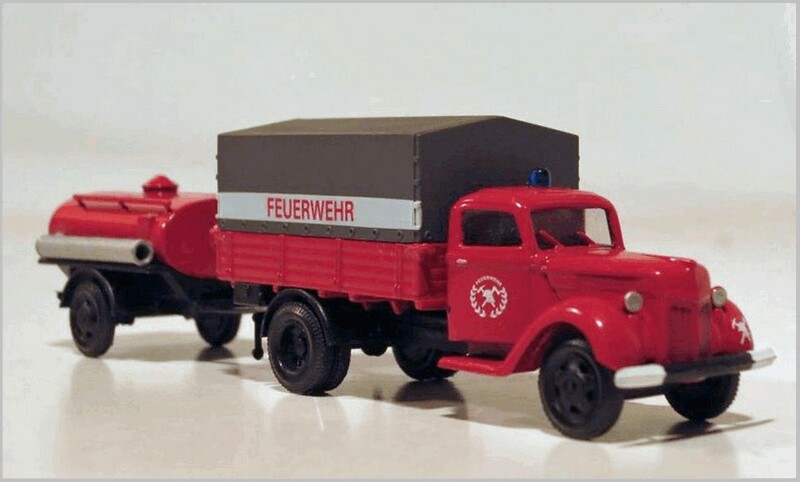 After the Second World war it became the catering division for Deutche Reichsbahn the national railway of East Germany. 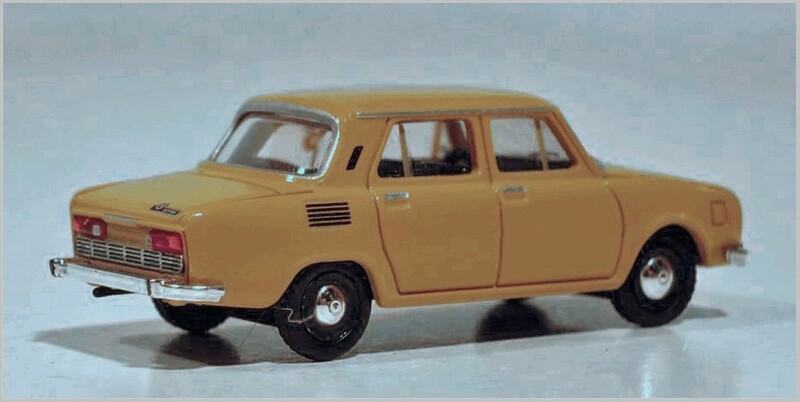 Herpa has created the Wartburg estate car as a service vehicle. 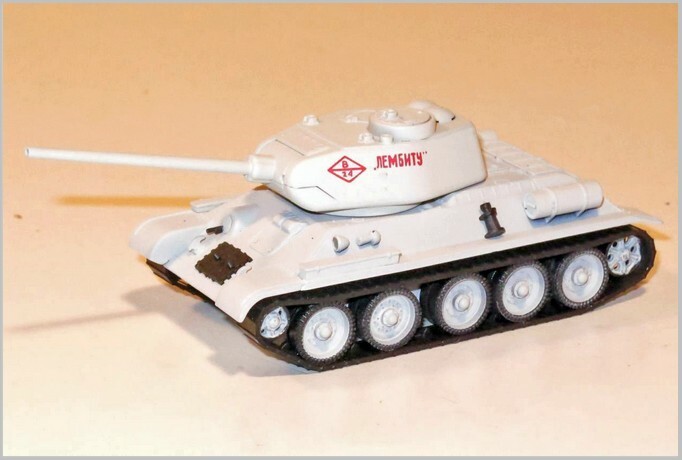 The model is ideally suited for model railways. 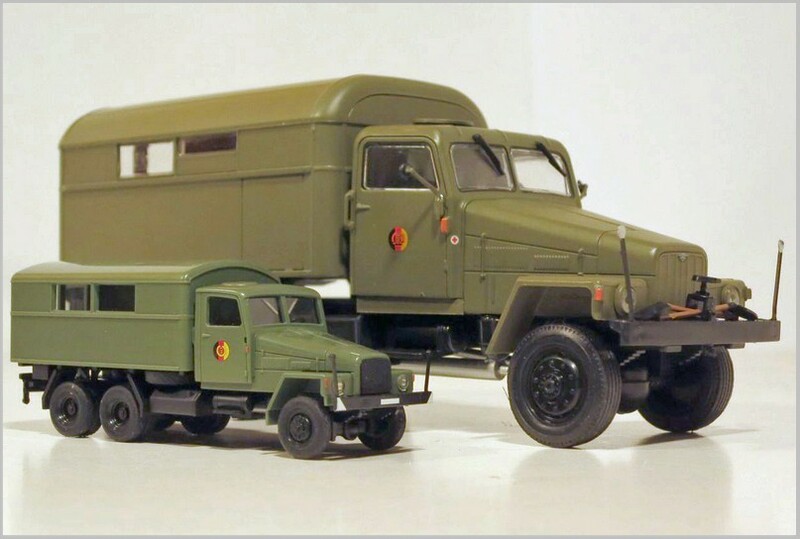 Heer is acloser look at some of the models released by Herpa during the second half of 2017. 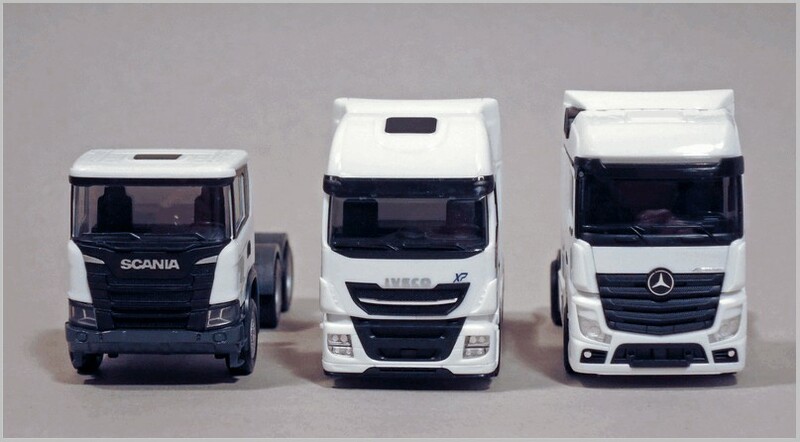 These are all moulded in plastic to 1:87 scale. 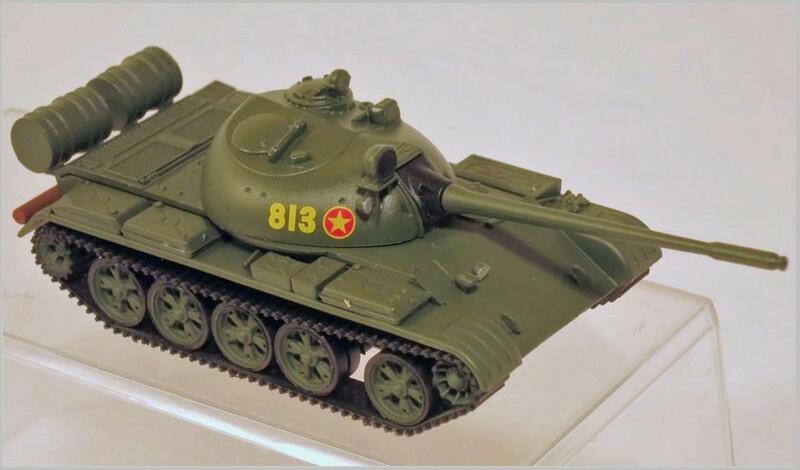 The Soviet Second World War tank was used by the “National Peoples’ Army “ of the German Democratic Republic (DDR) during the first years after the country was founded by the Soviet government. 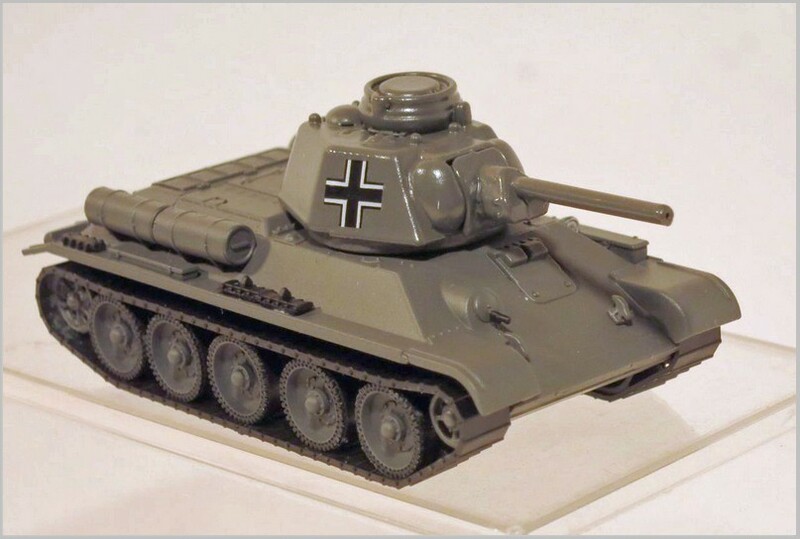 The original that this model is based upon was used during the battle to lift the siege of the encircled City of Leningrad in 1944. 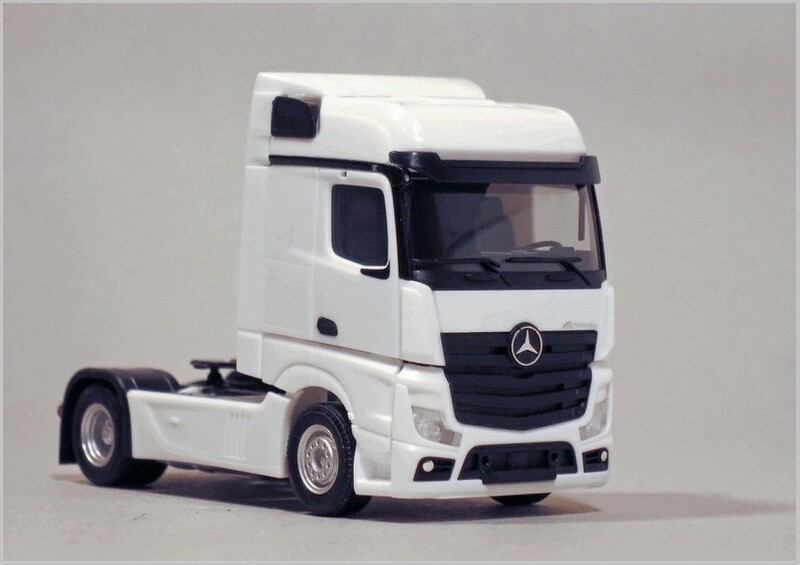 The series of Deutrans miniature models continues with this twin axle box truck with a Mercedes-Benz tractor unit pulling a typical trailer of its time with dual tyres. 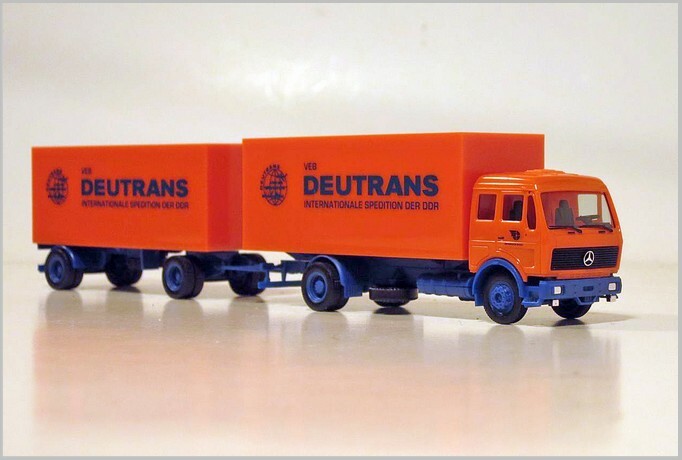 VEB Deutrans was the main haulier of the former DDR. 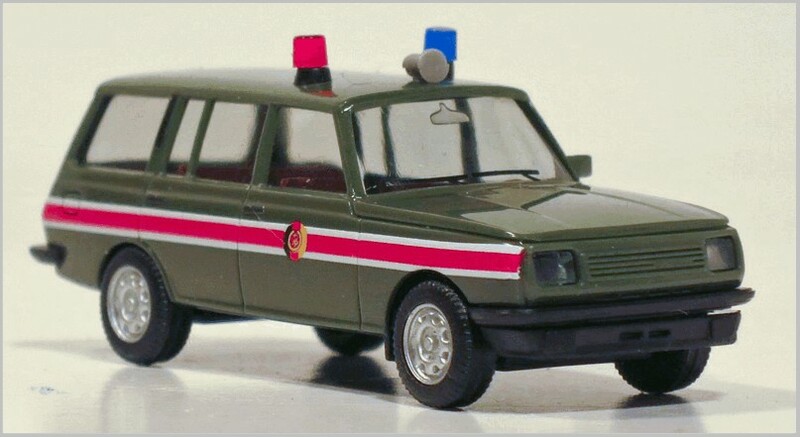 Drivers were officers of the Stasi (secret service) with special training. 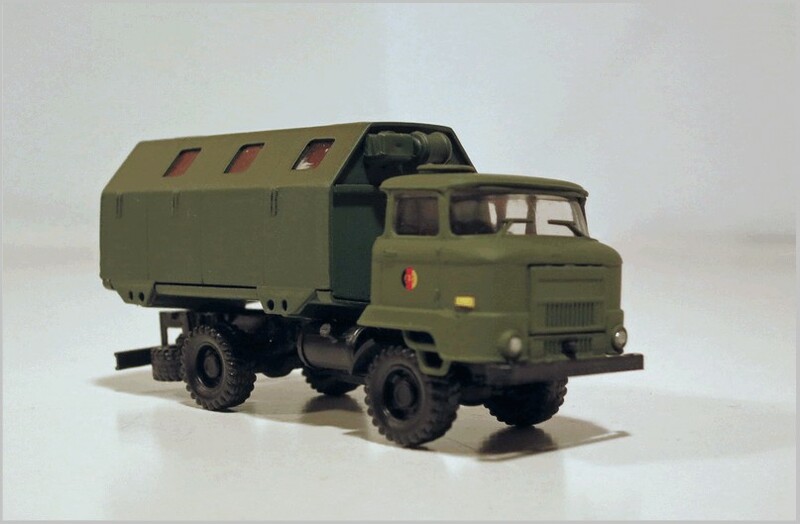 Their trucks were running observation stations. This is a brand new Tractor unit on this articlated lorry liveried with an advertisement for the Technical University of Brunswick. 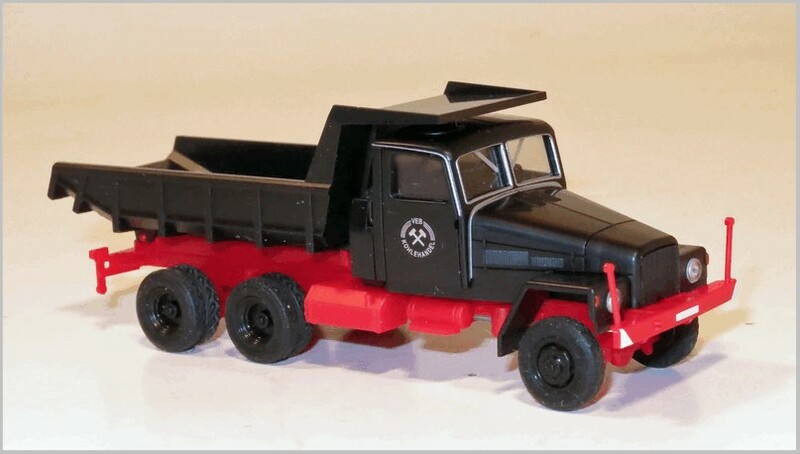 This truck with a MAN TGX XXL cab is operated by the Brunswick based forwarder Wandt. 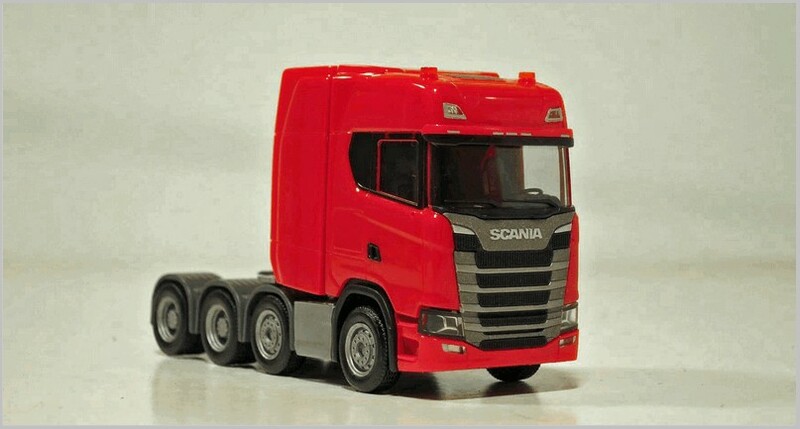 This was released by Herpa to fit in with the launch of the real lorry. 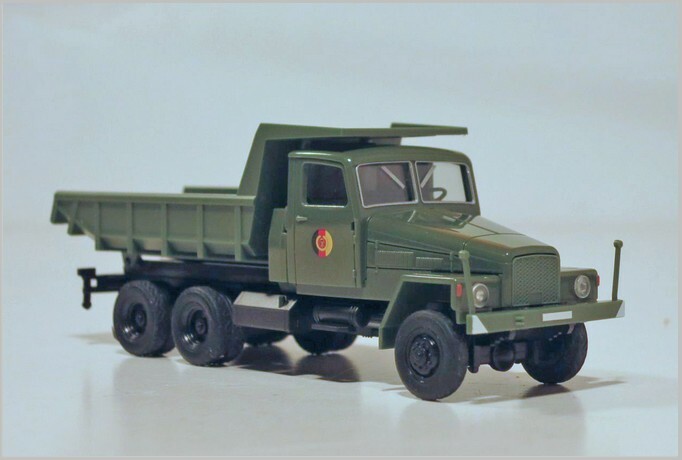 During the early years of the “National Peoples’ Army” of the DDR the G5 6×6 trucks were the most common vehicles. 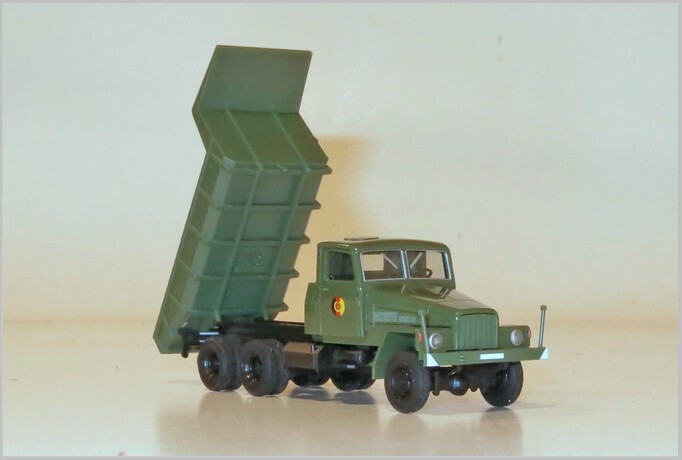 Here Herpa have made it as a dumper with a movable mechanism. 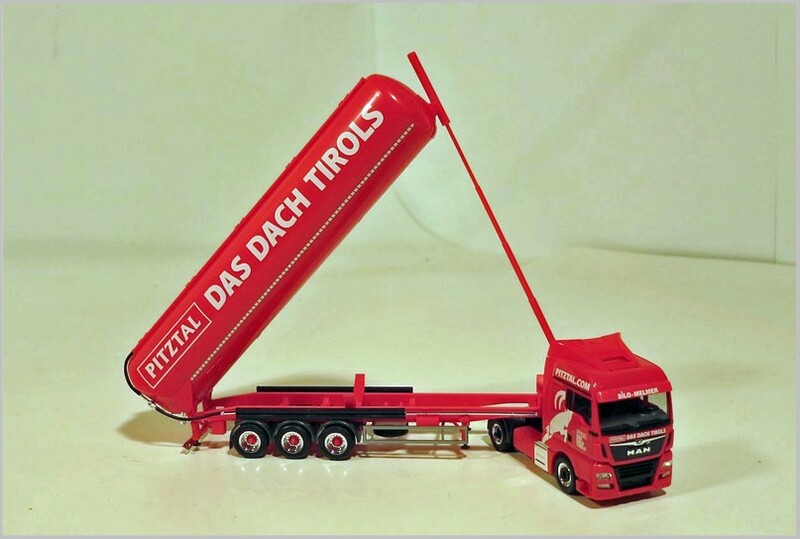 , fully movable, the hydraulic. 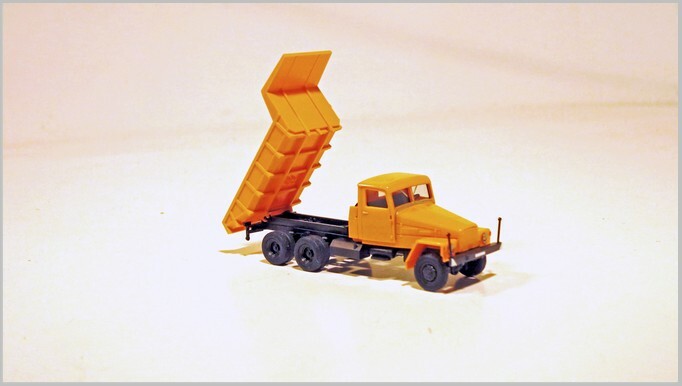 The hydraulic lift for the dumper is included in the box. 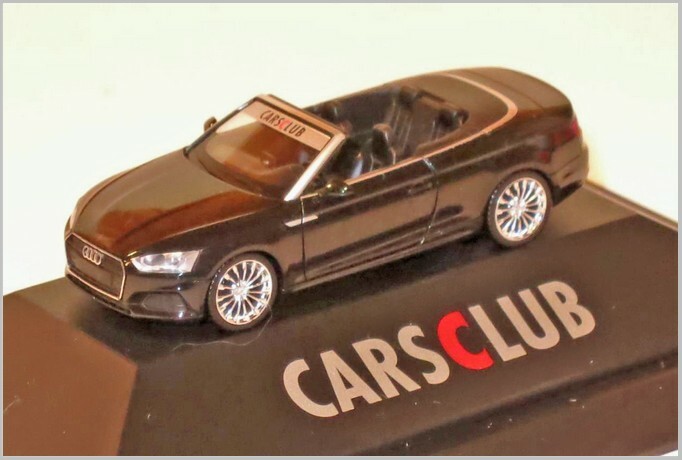 The black moulded A5 Cabriolet is the 2017 model of the year made only for members of the Herpa Modelcar Collectors Club. 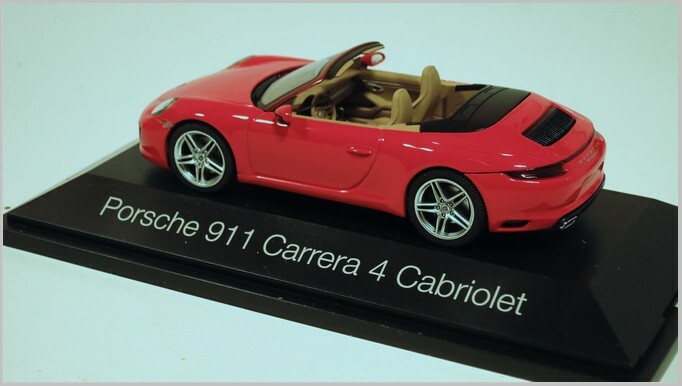 Three more Porsche cars to 1:43 scale are now available. 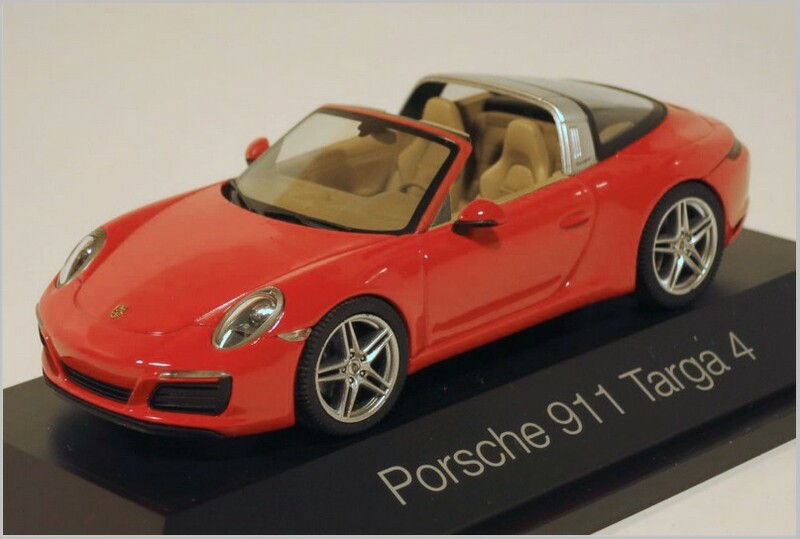 These were officially launched in Spring 2016, but have only been available as Porsche promotional models till now. 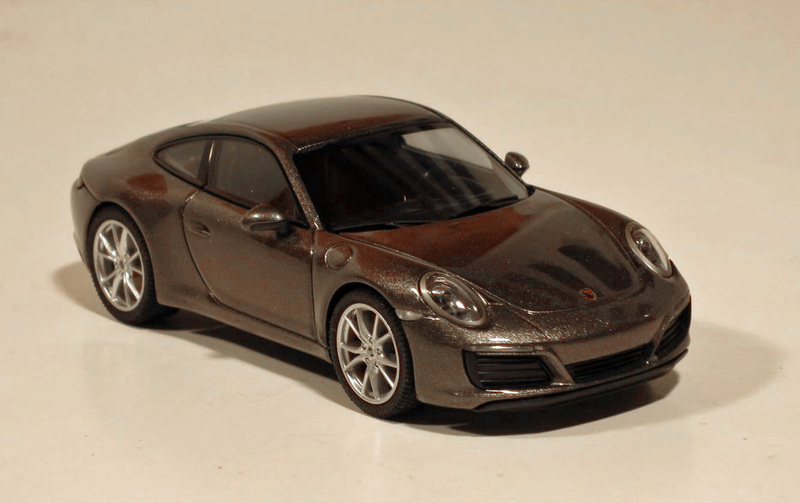 Here painted a lustrous black paint with a beige interior. 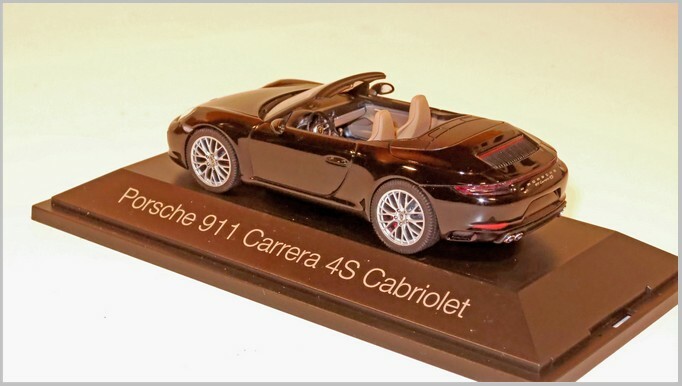 The three Porsche miniatures are extremely accurate models with a high level of detailing and fault free paint finishes. 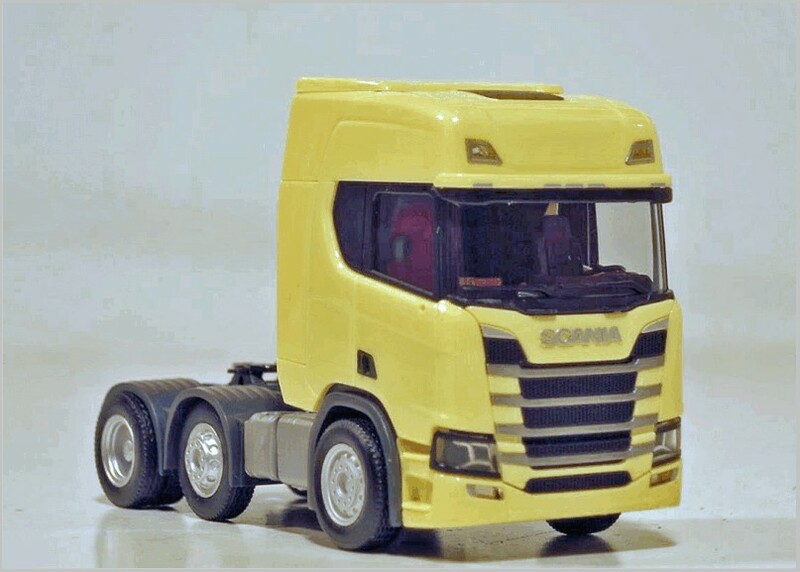 A number of small parts are added and features like wheel rims and exhaust systems are accurate and finely modelled. 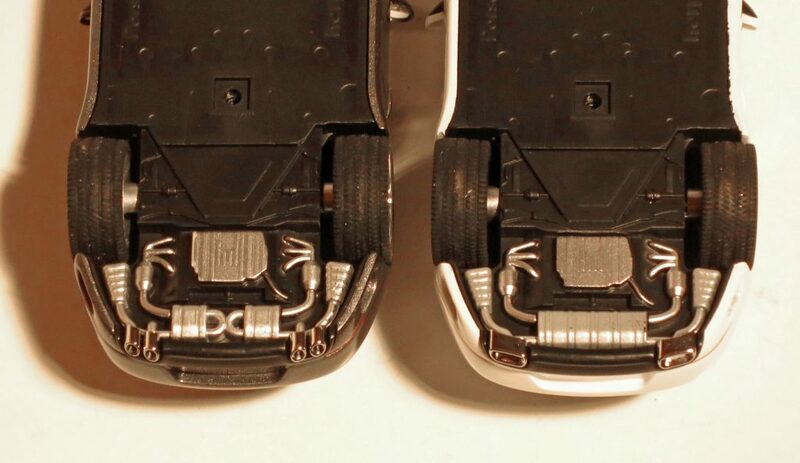 The base plates are well detailed too. 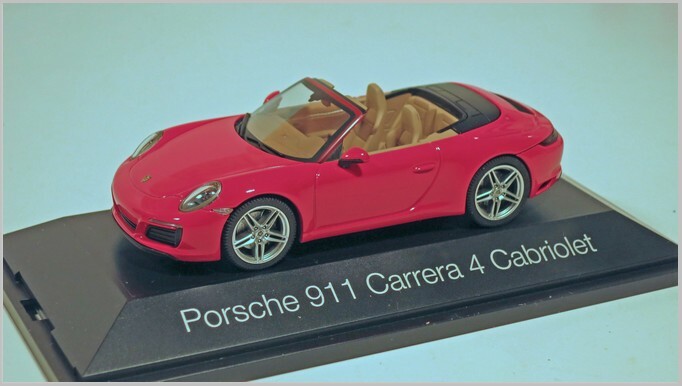 Porsche set high standards for the models they sell as promotional items but still demand reasonable prices so Herpa has worked hard to produce these models to a high standard and competitive price. 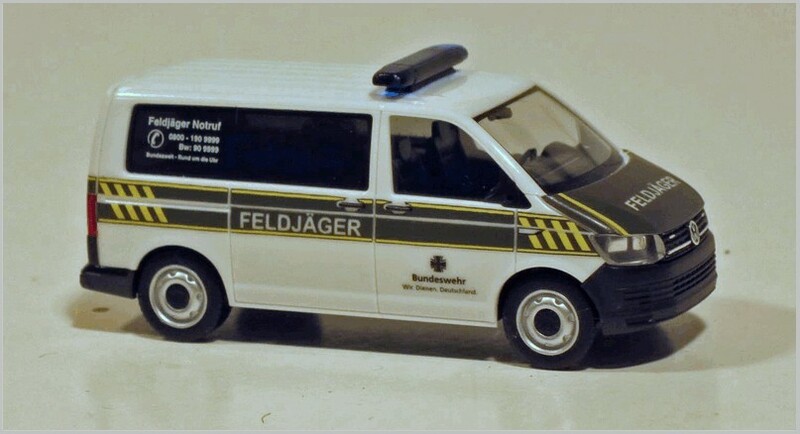 The police in Rhineland-Palatinate don´t look only for criminals but also for new recruits. 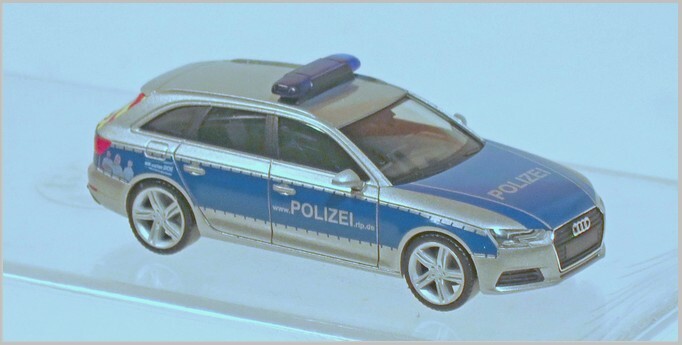 On this police car, the publicity material is incorporated in the livery with a pictures trying to persuade people to join the police. 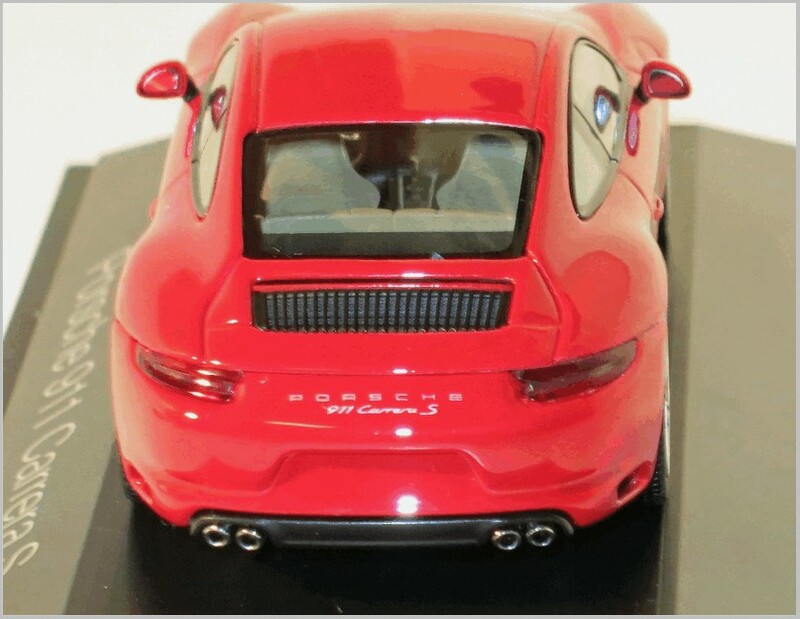 The model, has the four colour print on the rear wing as well as the eye-catching stripe decals in the rear. 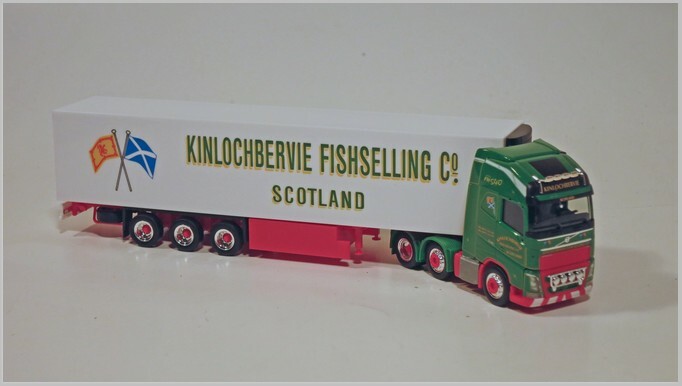 Kinlochbervie is a small harbour village in the far North West of Scotland which is also the headquarters of the fisheries company featured on this model which have their own fleet of lorries. 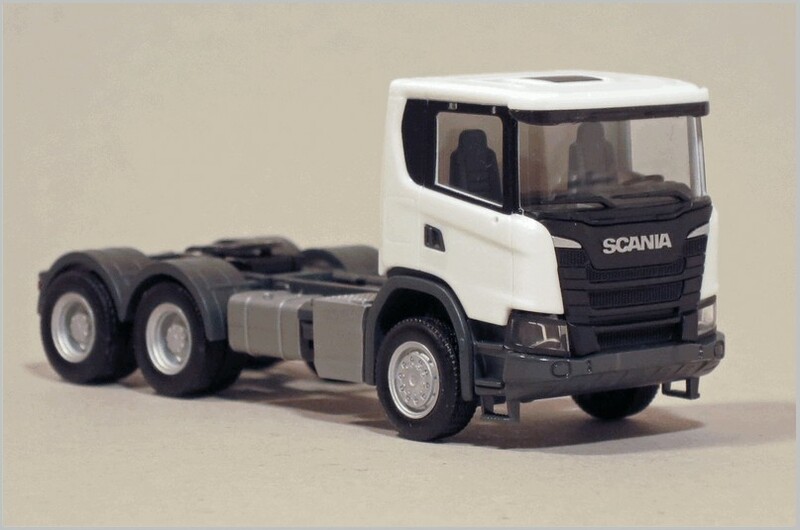 The cab features detailed printing as well as two headlight bars, one on the grill, and the other above the sun visor. 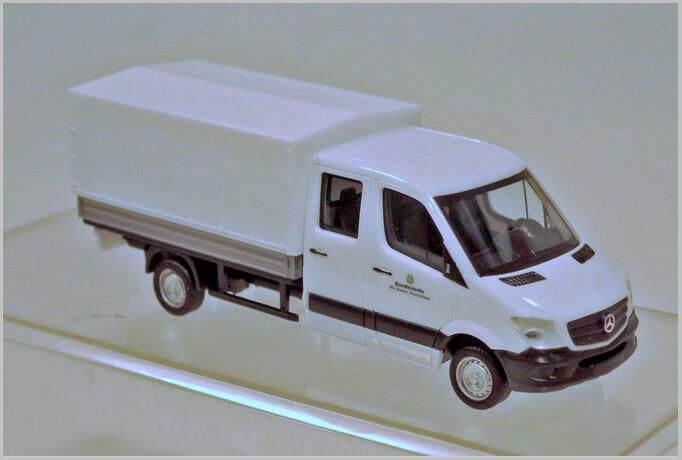 Customs in Germany still operates white vehicles with green area markings just like the Passat model from Herpa. 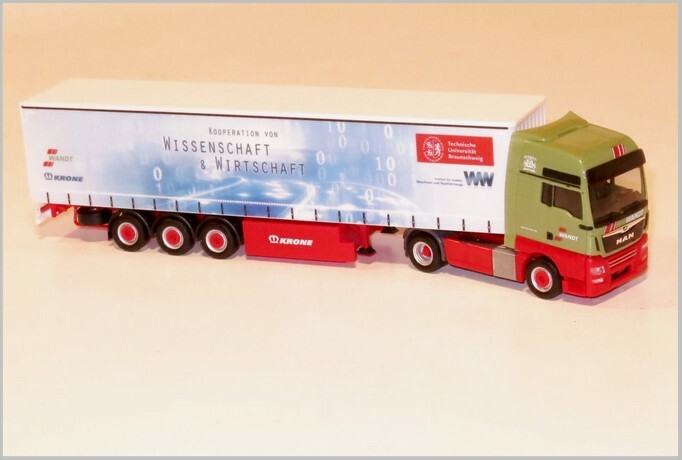 The model features an authentic printed livery and a Hänsch DBS 4000 light bar. 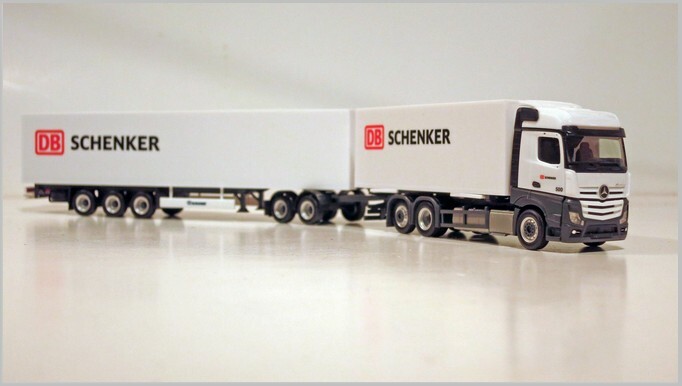 Deutsche Bahn – Schenker operates a new long truck. 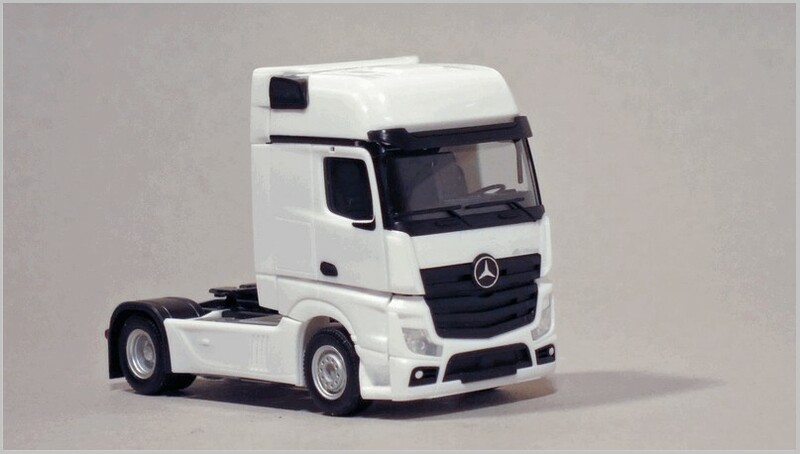 The Mercedes-Benz Actros Bigspace truck is loaded with a DB-Schenker swap container and pulls a five axle box trailer. News from the Continent September/October 2017 – Herpa. Here are some thoughts on two releases Herpa made in July 2017. 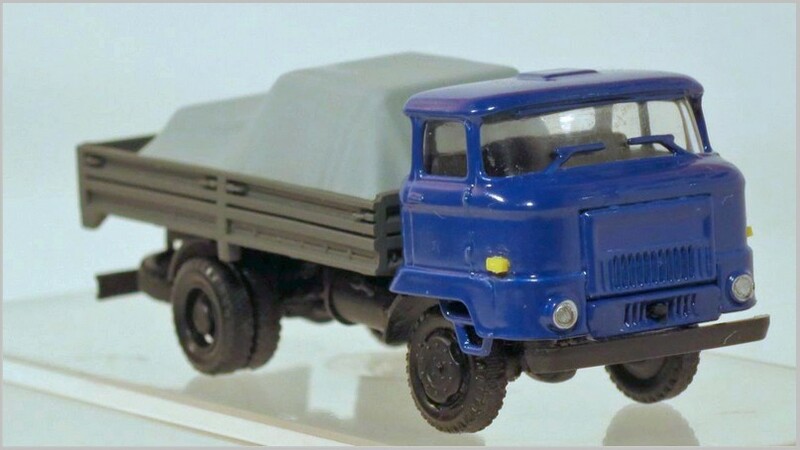 These are moulded in plastic to 1:87 in Germany. 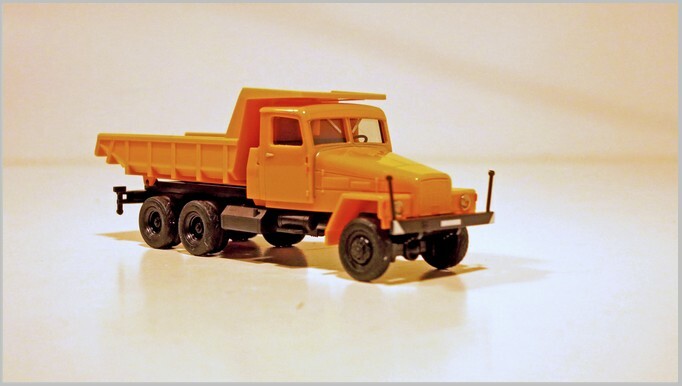 After the recent fire brigade version, the IFA G5 is now released as a bright yellow dumper. 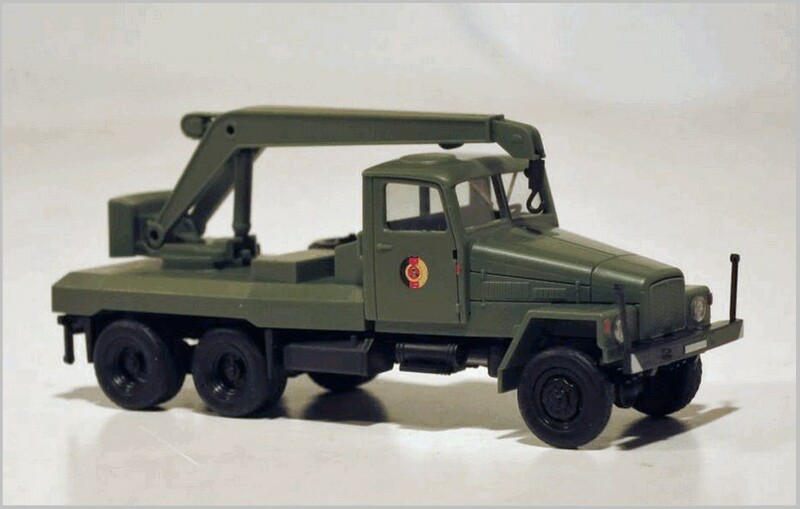 This vehicle was developed for the National Peoples Army of the former DDR and the 6×6 G5 was also used for civil purposes, especially when The Warsaw Pact forces standardised on Soviet trucks. 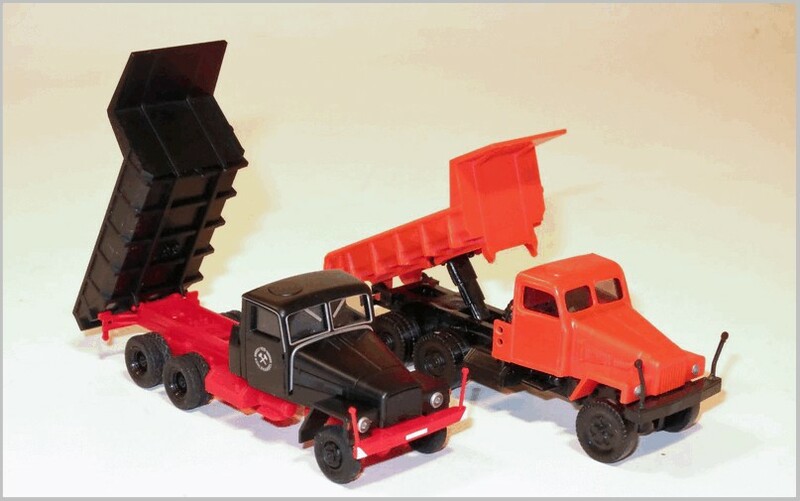 The new tipper has working action as shown in the photographs below where it can be seen next to the earlier dark orange and Military versions from the DDR Modelcars range. 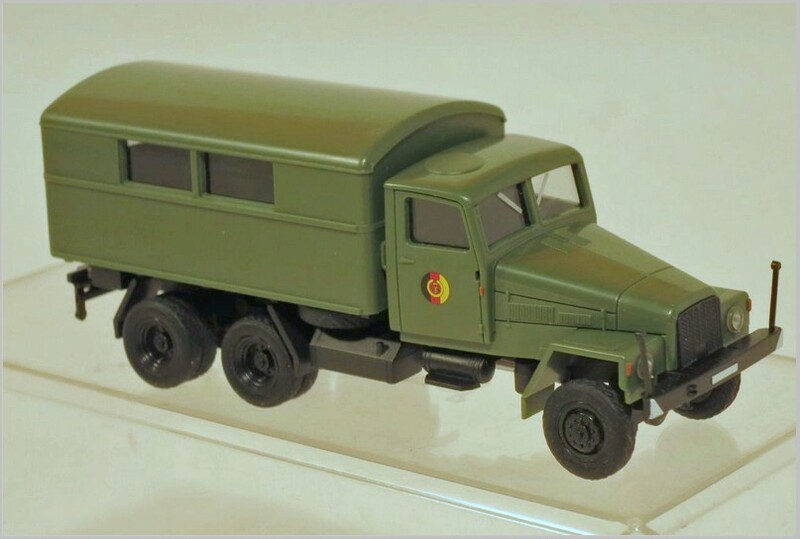 700665 Mercedes-Benz Sprinter 13 double-cab with flat bed and Tilt German Army – “Bundeswehr”. 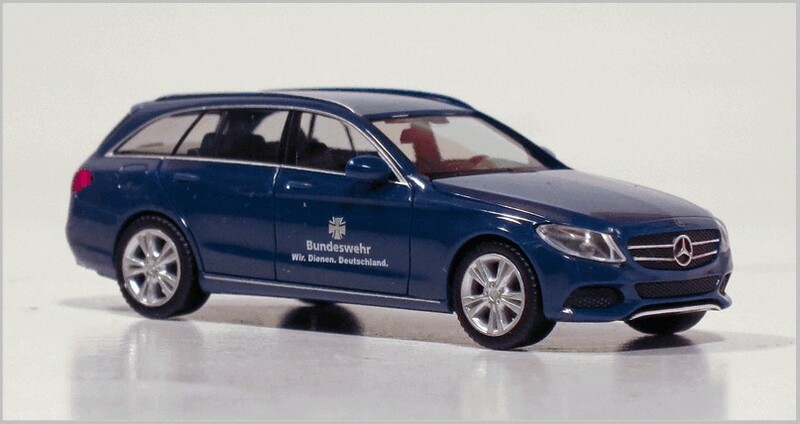 It seems hard to believe but today German Army vehicles can be seen painted in white or silver in use on the roads. 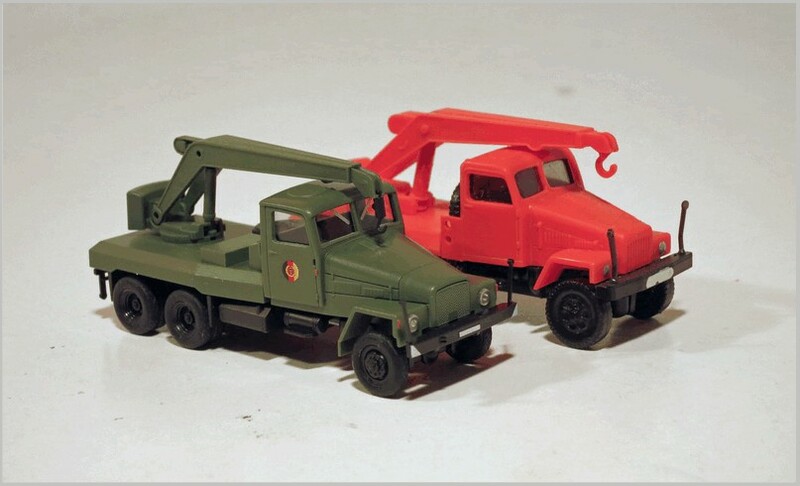 This approach is designed to make it easier to sell secondhand vehicles in these colours, rather than the traditional matt green, when the army no longer want them.